The Government of Japan announced today that it was contributing US$50 million to the Global Financing Facility in support of Every Woman Every Child (GFF), a country-led model of development finance that brings together multiple sources of financing in a synergistic way to support countries’ priorities. This first commitment to the GFF Trust Fund by the Government of Japan was announced today at the Universal Health Coverage (UHC) Forum 2017. Contributions to the GFF Trust Fund will help countries close the financing gap for reproductive, maternal, newborn, child and adolescent health and nutrition, accelerate progress on UHC, and reach the Sustainable Development Goals (SDGs) by 2030. “As part of the pledge made by Prime Minister Abe this morning, Japan will provide US$30 million to the GFF Trust Fund … ,” said Deputy Prime Minister and Minister of Finance of Japan Taro Aso. He also announced that Japan was ready to contribute another US$20 million to GFF, upon confirming a further increase in its effect of mobilizing concessional funds from the World Bank Group, including from its International Development Association (IDA). 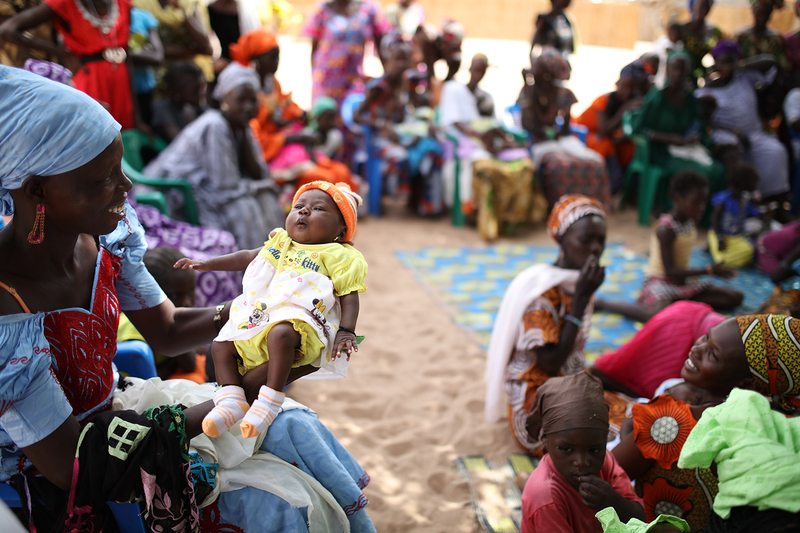 In November 2017, the GFF expanded to a total of 26 countries with the support of the governments of Canada, Norway and the United Kingdom; the Bill & Melinda Gates Foundation; and MSD for Mothers. The Gates Foundation recently announced a US$200 million pledge to the replenishment of the GFF Trust Fund, a multidonor trust fund that is hosted by the World Bank Group and that supports the work of the broader GFF partnership. The Government of Japan’s commitment comes at a critical time for women, children and adolescents. Although countries have made considerable progress during the past 25 years in improving the health and wellbeing of women, children and adolescents, too many are still dying and suffering from preventable conditions—in considerable part because of a large financing gap. In September 2017 at the United Nations General Assembly, the GFF launched its replenishment, with the goal of raising US$2 billion to respond to countries’ interest in joining the GFF. With US$2 billion, the GFF can reach a total of 50 countries during the next five years. Each dollar invested in the GFF Trust Fund is catalytic and links to several sources of funding—domestic government resources, financing from the World Bank’s IDA and International Bank for Reconstruction and Development (IBRD), aligned external financing, and private sector resources. This approach enables the estimated financing gap of US$33 billion per year to be closed. The 50 countries the GFF could expand to in the next five years account for 96% of the US$33 billion annual financing gap and 5.2 million maternal and child deaths each year. The World Bank Group and the United Nations launched the GFF at the Third International Conference on Financing for Development in Addis Ababa in July 2015 in support of Every Woman Every Child, and as part of a global conversation about how to finance the SDGs. Read the original press release issued by the GFF.